One of your major vices, coffee, is not as bad for you as previously thought. A review of more than 200 studies on coffee consumption claims a good cup of joe is not only safe, but also has a range of other benefits. If consumed in moderation, coffee not only gives you an energy boost, but is also perfectly safe, according to researchers from the University of Southampton. The study also found that three or four cups a day may lower the chance of developing liver disease; prostate, endometrial, skin and liver cancer; as well as leukemia. The research, published Wednesday in the British Medical Journal (BMJ), claims coffee drinkers on about three cups a day also reduce the risks of developing or dying from heart disease. 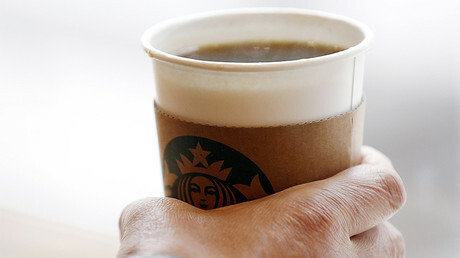 “Coffee drinking appears safe within usual patterns of consumption,” said research lead Robin Poole. Coffee consumption is also associated with lower rates of type 2 diabetes, gallstones and dementia. But co-author of the study, Paul Roderick, from the faculty of medicine at University of Southampton, cautioned the review does not confirm that it is caffeine, specifically, which is making the difference. “Factors such as age, whether people smoked or not and how much exercise they took could all have had an effect,” he pointed out. Researchers argue it is “difficult” to understand how exactly caffeine may have a positive impact on people’s health, but they suggested the anti-oxidants and anti-fibrotics in it may prevent or slow damage to cells in the body.